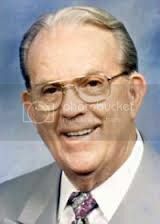 Dr. Ralph Sexton Sr. - 7.0 MB - Dr Sexton expounds the story of the choosing of a bride for Isaac. A beautiful type of the Holy Spirit, seeking out the Church, as a bride for Christ. "Back to Bethel Camp Meeting 9/26/1983".